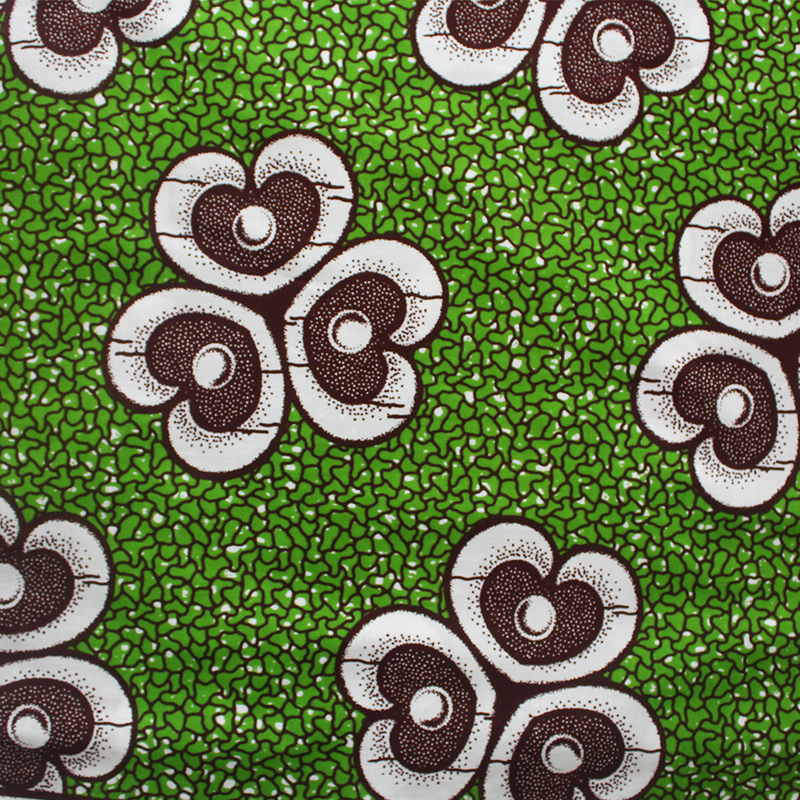 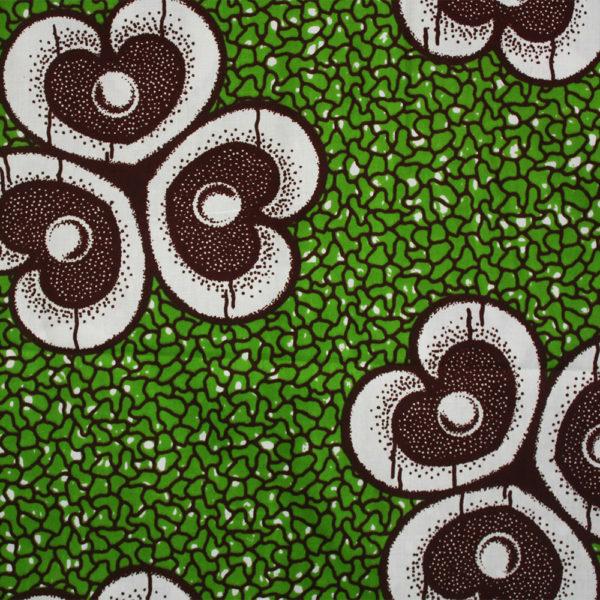 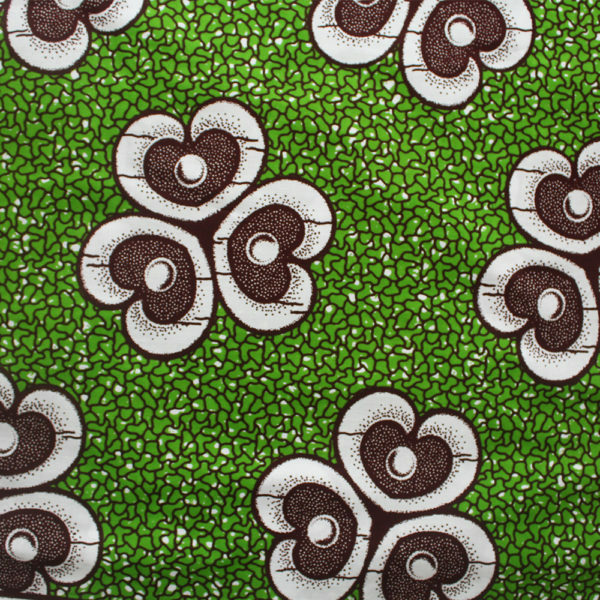 A simple green and white heart print with hints of brown. 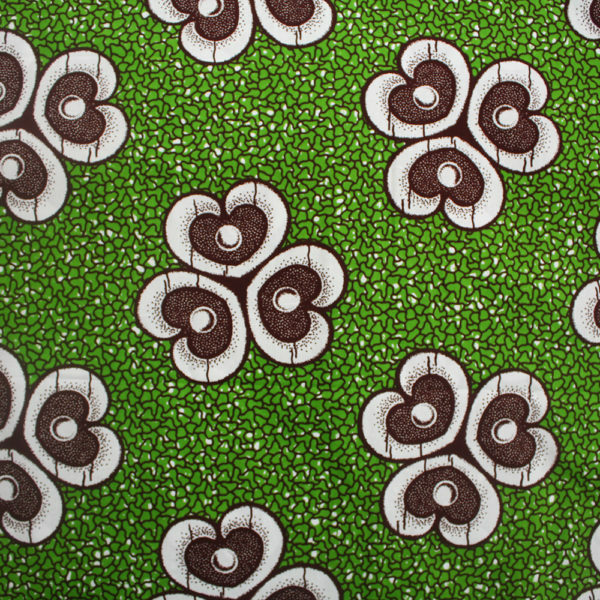 Made in 100% cotton. 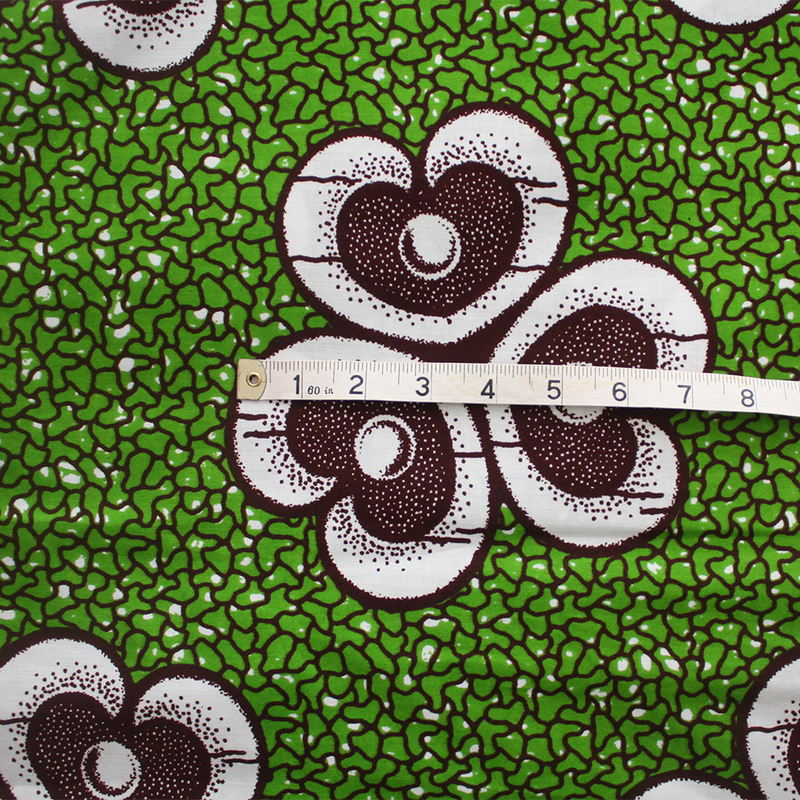 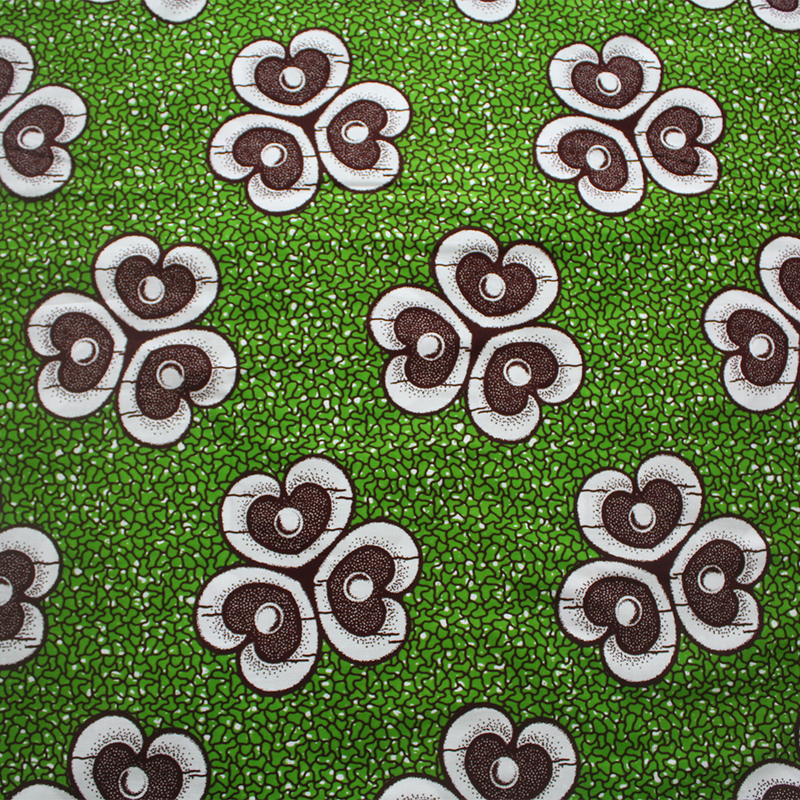 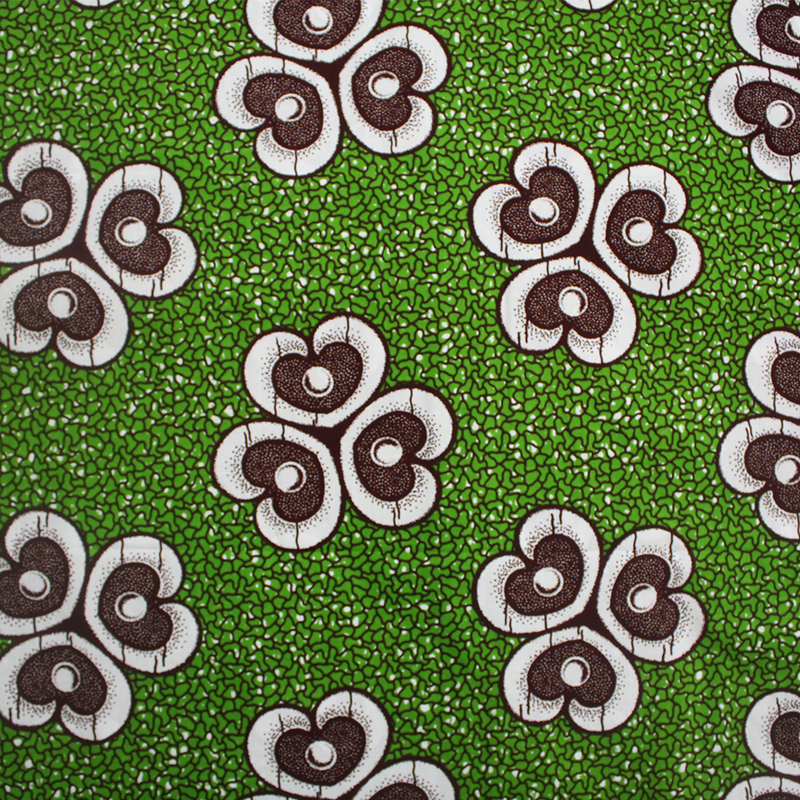 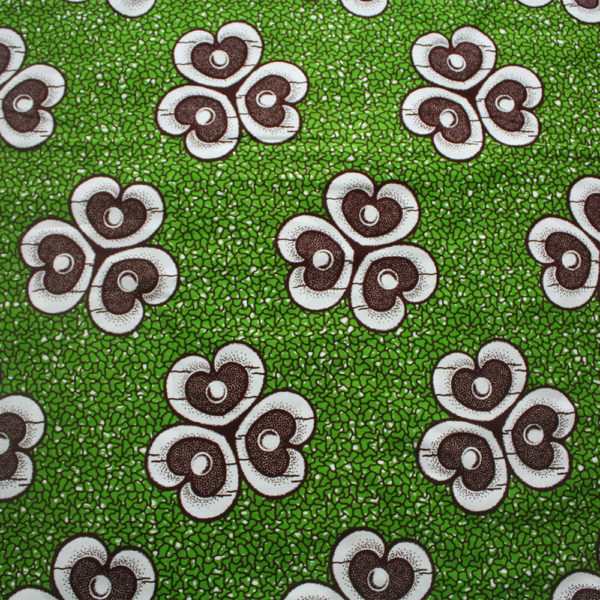 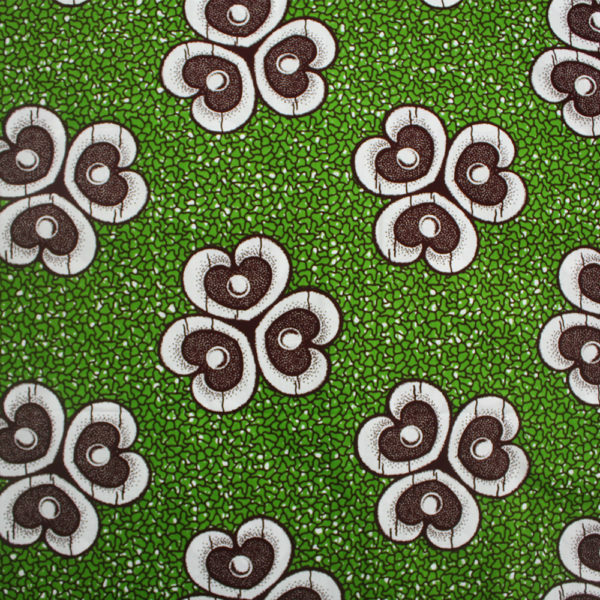 This fabric is also available to purchase by the yard here.